Some stories are many stories. These are one of them. The stage is the Yale boathouse in the 1980s: the cast includes lightweight coach Dave Vogel, longtime boatman and rigger Jerry Romano, and Rick Elser, who, after serving as a Yale lightweight coxswain, had taken over the lightweight freshman coaching reins while opening Richters, which was to become a noted New Haven bar and crew hangout, and also pursuing an initiative to change state laws to facilitate the establishment and operation of micro-breweries. In the midst of the 1987 season, a large dog, who appeared to all concerned to be a black lab, showed up at Yale’s Bob Cooke boathouse, and was promptly dubbed “Beast” by freshman heavyweight coach Jamie Gordon. Romano, who frequently invited underpaid coaches to his home near the boathouse for sumptuous feasts, began feeding the dog, who showed great affection for water and crew, typically joining Elser in the coaching launch. Efforts to determine the dog’s origins having come to naught, Beast was soon admitted to all of the benefits and privileges of Boathouse Dog. 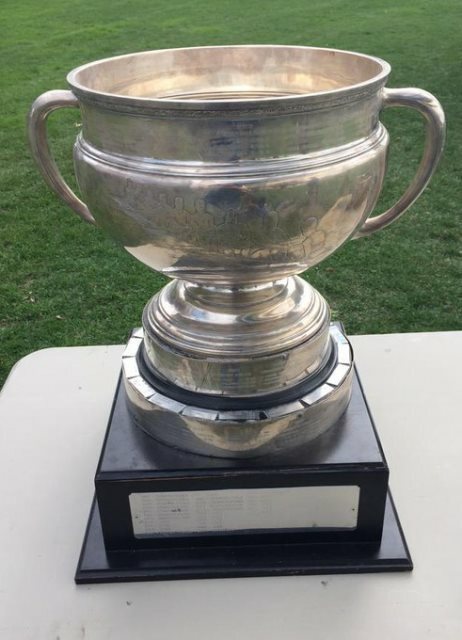 One of collegiate rowing’s most spectacular trophies is the huge sterling silver Blackwell Cup, first contested by Columbia, Pennsylvania and Yale in 1927, and named for Columbia oarsman George Engs Blackwell, Class of 1880. On the day of the Blackwell Cup Regatta that year in Derby, Romano and the Penn rigger made a wager on the outcome of the contest. The lightweight squad and coaches being at an away race, Romano bet Beast against a case of beer. Penn prevailed by 10 seconds, and Beast was handed over to the Penn rigger to leave for a new life on Boathouse Row. Or so everyone thought. Came the end of the rowing season several weeks later and the phone in the Bob Cooke Boathouse rang. 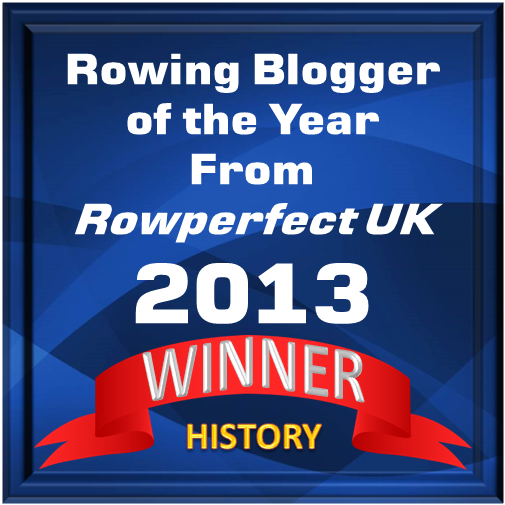 It was the Penn rigger. Discussion ensued among Romano, Vogel and Elser, and it was agreed that Beast, hence to be known as Blackwell in honor of the race for which he was the stake, would return to New Haven. Elser travelled to Philadelphia to retrieve him. Once safely back at Yale, after undergoing the requisite visit to the veterinarian for shots and emasculation, Blackwell took up residence with Elser, traveling to the boathouse daily to assist in his coaching duties when the freshmen were on the water. Meanwhile, with the passage of time, the Connecticut legislature was convinced of the virtues of facilitating micro-breweries, and Elser, with investors including Vogel and others, founded the New Haven Brewing Company. 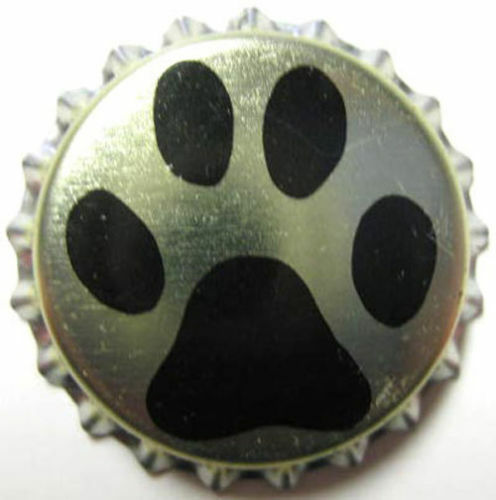 It was decided that the product line should include a stout, for which a name and label needed to be picked. 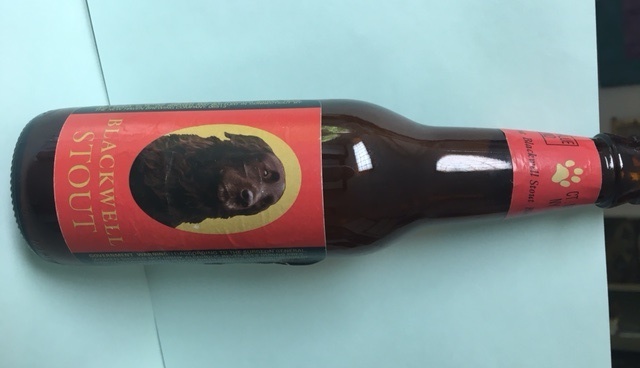 After appropriate deliberation, “Blackwell Stout” was chosen, and a label was designed featuring a striking head and shoulders photograph of Blackwell, the Yale Boathouse Dog. Days after the introduction of Blackwell Stout to the market, the phone rang at the Elser residence. Ah, well. Sic transit pecunia. That profit opportunity having been sacrificed to the veterinarian’s knife some time before, it was left to Blackwell to live out his life as Boathouse Dog without progeny for the balance of Elser’s time as the freshman lightweight coach. Dave Vogel and Rick Elser contributed to this post. Some may be aware that Yale University athletic teams are known as ‘Bulldogs’ and have both a real dog and a costumed person as a mascot. The first Handsome Dan started as the pet of an Englishman, Andrew B Graves of the Yale Class of 1892. Graves both rowed and played (American) Football. Dan followed him to various sporting events and he was soon adopted by the students. He allegedly had a particular hatred for Harvard (which probably did not go against him) and three of his successors have been temporarily kidnapped by the Crimsons. The Hartford Courant said of the original, “In personal appearance, he seemed like a cross between an alligator and ahorned frog, and he was called handsome by the metaphysicians under the law of compensation”. The first eight Dans lived at the Yale Boathouse. Their successors have lived with various coaches and academics – which is a wise move as bulldogs cannot swim. Dan XI demonstrated this when he fell off the Yale dock in 1953 and nearly drowned. Today, Yale’s mascot is Handsome Dan XVIII. When the original Dan died in 1898 he was stuffed and put in a glass case in one of the university trophy rooms where he remains to this day. Good story. Looks like one of the flat coat retrievers we had. I have an empty six pack from maybe 15-20 years back.